A lot of music is getting made these days. One of the main missions of Altar Records (and any record label) is to sift through the infinite grains of sand and find those precious objects worthy of being shared with a wider audience. Sometimes it’s something as simple as the musical equivalent to a perfect sea shell; on a few lucky occasions it can even be a nugget of gold; in this instance, it’s a rare and one of a kind gem! Perfectly representing the essence of Altar Records and progressive chill, this newest release proves that people can count on Altar Records to find rare and outstanding releases for their music collection. Like Akshan, Alwoods, Cabeiri, Suduaya, Asura, AstroPilot, E-Mantra and a few other exceptional artists who have a singular talent when it comes to composing amazing music (along with brilliant mixing skills), this project presents both the technical and vibe aspects of creating music from two talented artists at the peak of their abilities. Hudur Shrim and Eyal Markovich have joined forces here to create Profondita, a new downtempo ambient and dance-floor project custom made for Altar Records. It features the best of both downtempo psy (psybient) and mid-tempo progressive sounds. 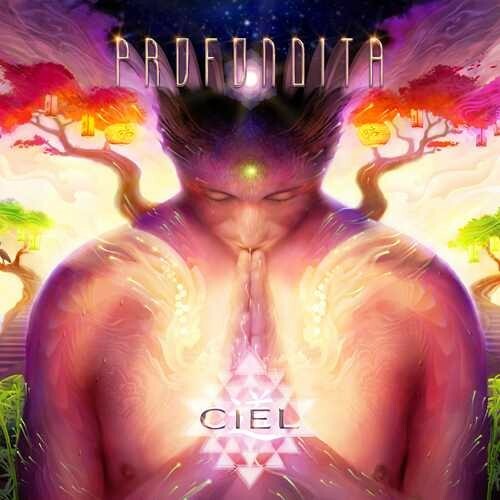 Their debut album ‘Ciel’ is destined to be a memorable part of the growing Altar Records release catalog. We hope you’ll enjoy it as much as we do!